The NugSmasherXP Heat Press is designed and built by experts in Corona, CA, by Premiere Manufacturing in the company’s 40k square foot machine and fabrication workshop. All their products are created by experienced designers, engineers, builders, and fabricators. The NugSmasherXP Heat Press features 12 tons of manually controlled pressure and it’s quite a large rosin press. The NugSmasherXP Heat Press provides users precise temperature control of both the top and the bottom plates. All you will have to do is set the desired temperature according to the type of material that you are planning to press with it, and the controllers will make sure to bring the plates to that temperature. The plates will be maintained at the same heat during the whole pressing process. Users can enhance their chances of having amazing results by making sure that they are pressing the same each and every time that the press is loaded. The built-in gauge does precisely this, and it allows you to find the ideal amount of pressure correctly chosen for each type of material. After that, you will be able to apply the same amount of pressure on the future rounds as well, and the result will turn out fantastic regarding the quality. 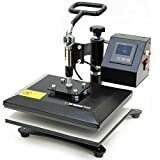 The NugSmasherXP Heat Press is built from steel and aluminum, and these materials will make sure that your rosin press’ lifespan will be enhanced. The solid interlocked steel plates are really resistant, and the aluminum is also used for the pressing plates and the control panel as well. All NugSmasher’s products are well-equipped machines that require more power circuits to make everything run flawlessly. The manufacturers created these devices having the safety issue in mind. The high-quality circuits are mounted on the front panel of the rosin press for allowing users to monitor them easily and to have easy access to reset them if it’s ever the case for such an action. You are able to fine-tune the pressure, or you can continue to operate the machine with the manual pump arm if the air compressor quits on you. The NugSmasherXP Heat Press comes with LEDs that are focused on the pressing area. These will light up the working surface, and you’ll better see what you’re doing and how the material is turning out. 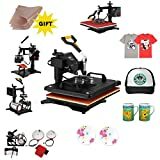 As soon as I opened the package and I saw the NugSmasherXP Heat Press, I was entirely in love with it because it shows its high quality from the very beginning. 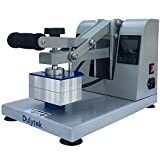 I was impressed with the sturdy construction of the machine, and I already knew that the best materials that can be used for a rosin press are the solid steel and the aluminum. 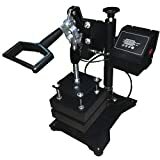 The aluminum is used for both the control panel and the pressing plates, and you can see that they’re incredibly well-constructed, so probably I won’t have issues with the press’ durability and resistance throughout time. I heard of some cases when the smash plates even melted because they were made out of inferior materials, but here it won’t be the case. The bottom plate is large enough to host lots of cannabis material, and this means that I was also able to get more product at once. Anyway, I only use the NugSmasherXP Heat Press for my personal needs so I don’t really need a machine that can produce much more rosin after just one pressing process. The final result was everything I expected it to be, the material didn’t burn in the process, and the rosin smelled just the way it should without having any burn flavor added to it. 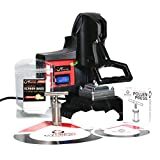 While using older models of rosin plates I used to obtain a rosin of poor quality that smelled and looked funny, but with this machine, something like that never happened. Overall, I am delighted with its performance, build and ease of use. When I got it, I just had to plug it and take a look at its instructions to see exactly how it works and what features it sports and that was it. I would recommend it to anyone regardless of their skill level in the rosin pressing hobby. The NugSmasherXP Heat Press features up to 12 tons of manually controlled pressure. It comes with a precise pressure gauge, and this is excellent for consistent extraction. 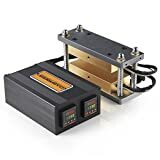 The accurate temperature control offers you high power over the plate’s temperature, and you can decide which one is best according to your material. The machine is sturdy, and it’s built to last a lifetime. The pressing area is 4 x 6 inches, and it can hold up to 28 grams of material. The fast retract plate release comes in handy, and it will manage to prevent burning the material. It features American Made A-36 solid steel and T6 6061 aluminum and both of these are fabricated and assembled from start to finish in-house. 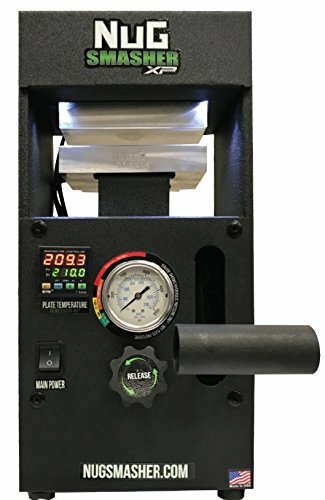 If you compare the NugSmasherXP Heat Press to other larger presses, it’s only able to deliver a maximum of 7 grams of rosin at once, and for some enthusiasts, this may be too little. But on the other hand, this is the average amount of rosin that can be produced with the help of a machine if this precise caliber so this will not be an issue for the average user. The NugSmasher XP Expert comes with a life-long guarantee and the manufacturer, NugSmasher, assists its clients with any questions or issues during the regular business hours. NugSmasher offers 100% coverage for life for all its products. The newest version of the NugSmasherXP Expert packs some incredibly amazing features such as the 4 x 6 – inch quad heated pressing plates, LED lights, solid steel construction, precise pressure gauge for consistent extractions, accurate temperature control, circuit protection, a manual pump arm, fast retract plate release, and plug and play system that will provide you with everything you need to get the best rosin. The machine is flexible enough for small personal use and also for higher volume production, so it’s perfect for both occasional and more enthusiast users.